MANILA, June 27 -- Department of Justice (DOJ) Secretary Vitaliano Aquirre II announced on Tuesday that they have started their reinvestigation on the multi billion-peso pork barrel fund scam. In the same vein, the justice official said that they have created a special task force to revisit the Priority Development Assistance Fund (PDAF) scam and correct the "miscarriage of justice" in the earlier probe conducted by the previous administration. "I have already ordered the reorganization of the Task Force on PDAF cases for the purpose of reinvestigation. I designated Undersecretary Antonio "Richie" Kho as head of the task force," he said in text message Monday. The new panel replaces the National Bureau of Investigation task force created by former Justice secretary and now detained Sen. Leila De Lima that conducted the investigation on the PDAF scam. This led to the plunder indictment of former senators Juan Ponce Enrile, Jinggoy Estrada and Ramon "Bong" Revilla Jr. and other lawmakers and executive officials before the Sandiganbayan. 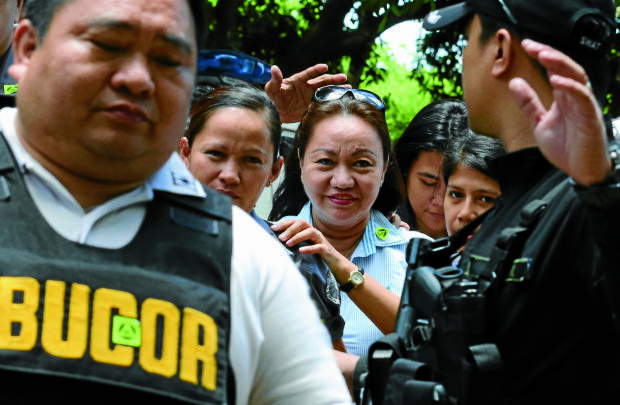 Aguirre said Kho's team is composed of prosecutors and NBI agents and will start their task with the affidavit and documentary evidence to be submitted by detained businesswoman Janet Lim-Napoles, the alleged brains of the PDAF scam.